Ms Sin obtained LLB degree at the University of Hong Kong in 1996 and took up the post of Lecturer (Law) at the Vocational Training Council. In May 1997, Ms Sin joined the Hong Kong Government and had been posted to different departments. Her last posting in the HKSAR Government was Assistant Departmental Secretary, Discipline & Access to Information Section, Social Welfare Department from 2002 to 2007. During which time, she was also the Deputy Data Protection Officer in SWD. She has extensive knowledge and experience in handling privacy related issues in the public sector. Ms Sin was a part-time law lecturer at the Vocational Training Council from 1997 to 2003. In 2001, she obtained a Master degree in Language and Law from the City University of Hong Kong. Ms Sin was called to the Bar in May 2008. In July 2008, she joined the School of Continuing & Professional Studies, the Chinese University of Hong Kong as part-time Instructor (Law). She has been delivering Law Society CPD talks regularly on data privacy since 2009. She has also delivered talks on data privacy for Education Bureau, HKIAC and HKIArb. 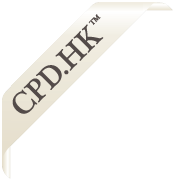 Ms Sin is an accredited General Mediator of HKIAC and HKMAAL, and a Victim-Offender Professional Mediator.